Supermarket ad flyers feature what the industry calls loss-leaders, items a supermarket is marking down to draw you into the store so you’ll buy processed foods with higher mark-ups. Vegetables used to be among these loss-leaders but I’ve been noticing lately than they’re not popping up on sales as much as they once did. Supermarkets realize shopper demand for fruit and vegetables is going up, so expect to see those items put on sale less often than in the past.trade, can it? Thanksgiving is only a few days away, time to start planning how you’ll make it a low-salt, low-fat day but still enjoy traditional items like turkey and even mashed potatoes. It takes a little smart shopping and a lot of recipe tweaking, but you can do it and I can show you how. Baby carrots are a simple yet tasty side dish. I steam them for dinner or eat them raw as a nibble food when we have guests over. I’ve also posted a recipe to turn them into a salad. So I was excited to see this Food Network post about 14 ways to use baby carrots. Some of these are just plain wacky. 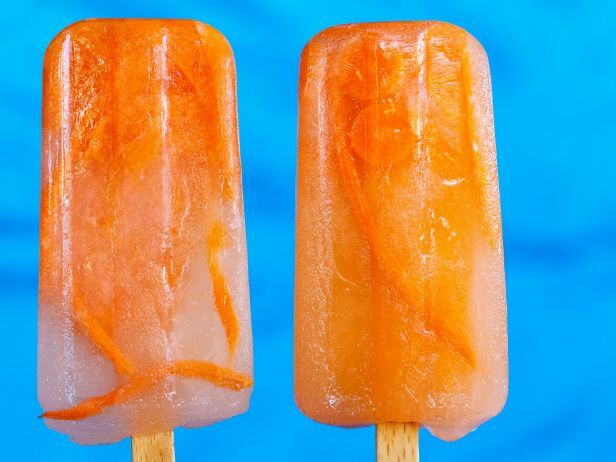 Carrot freezer pops? Well maybe. Carrot freezer pops? Not sure how tasty these would be. Broccoli and green beans are two of my favorite side dishes but I’m always looking for ways to add flavor to them because, honestly, they can get boring after a while. 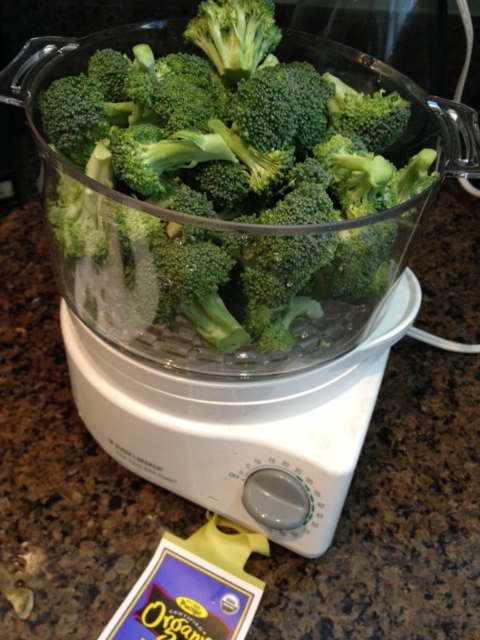 Put the trimmed broccoli in the steamer basket, cover and set the timer to the recommended cooking time. As usual, add the pepper if you like it. 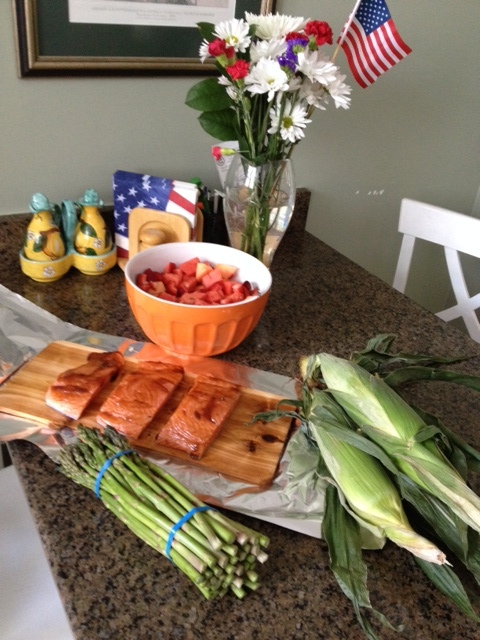 The recipe calls for roasting in the oven but this could easily be made on an outdoor grill for summer too. Grilling is a summer favorite. 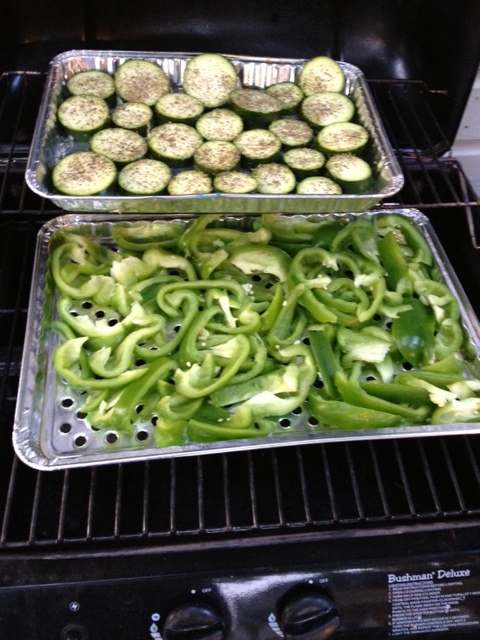 I’ve done grilled vegetables like zucchini for parties and for our consumption over the years. But I never thought of grilling a salad until I saw this in Bon Apetit recently. Grilled vegetables can work well on a salad too, try them. I would modify this recipe. Take out the salt, of course. I’d also eliminate the avocado and the pistachios because I don’t like either. If you do, keep them. I’d substitute in some grilled asparagus and grilled portobello mushrooms along with grilled zucchini too. Roasted potatoes are a simple but flavorful side dish perfect for summer grilling, or making indoors if you don’t have an outside kitchen. 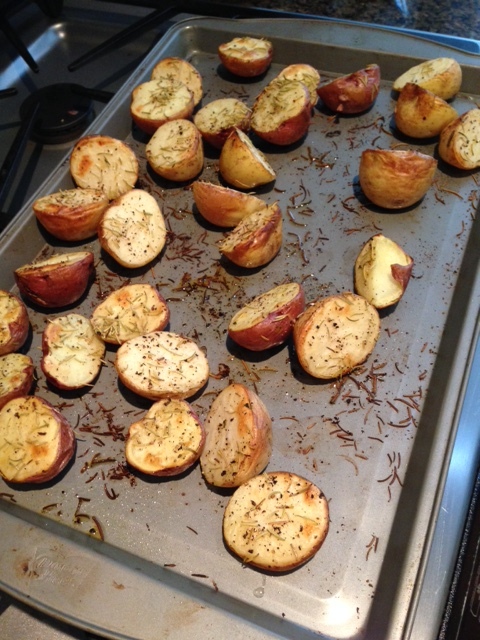 This simple potato recipe provides a fun summer side dish. Asparagus is a veggie I’ve been eating a lot more of since my 2012 angioplasty. But it can be expensive, $3 a pound and more, so I tend to only buy it on sale. Whatever the price, I’m always up for tips on how to prepare it and how to preserve it longer so I don’t waste as much, part of my new push for better meal planning. So I was pleased to see some tips from my supermarket chain Jewel that I actually found helpful rather than silly as I do many cooking and food tips from food stores. Asparagus area great side dish. You can read the tips here. I never knew the one about wrapping the bottom of asparagus in a damp paper towel to help it last longer in the frig. I also liked the advice about cooking at high heat and pre-heating a baking sheet, both of which I’ll try. I like topping asparagus with low-salt panko breadcrumbs and putting them under a broiler to crisp. You can find other asparagus recipes in a post I wrote about 25 veggie cooking ideas. Eating more vegetables has been a way of life for me the past two and half years since my 2012 angioplasty. Indeed, the first nutritionist I saw wanted me to become a vegetarian. I didn’t go that extreme but I am eating a lot more vegetables and so have been looking for more interesting ways to make the same broccoli, asparagus and green beans. I have some recipes on my recipe page that bring fun twists to these. But recently I got a posting from thekitchn.com headlined 25 Simple Green Sidedishes that I thought would be worth exploring. It breaks down recipes by grilled, steamed, sauteed and raw so you can match your favorite cooking technique with your favorite veggie and find something new here. 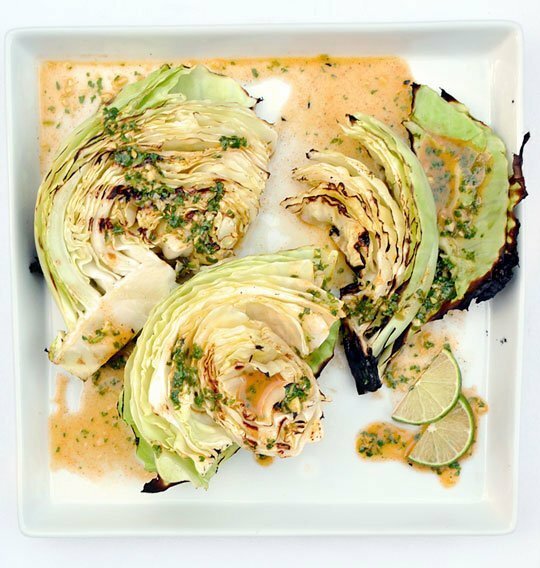 Grilled cabbage with a lime dressing, leave out the salt. Most of the recipes I scanned include salt. I would simply leave that out. If you’re watching sugar, beware of the ones calling for sugar as well. Some have cheese too, so if you’re watching fat, find fat-free cheese alternatives. I tended to be most interested in the grilled/roasted category. A garlic broccoli appealed to me as did grilled cabbage wedges. Some recipes included bacon, again leave that out if you’re worried about fat, or a vegetarian like my first nutritionist!